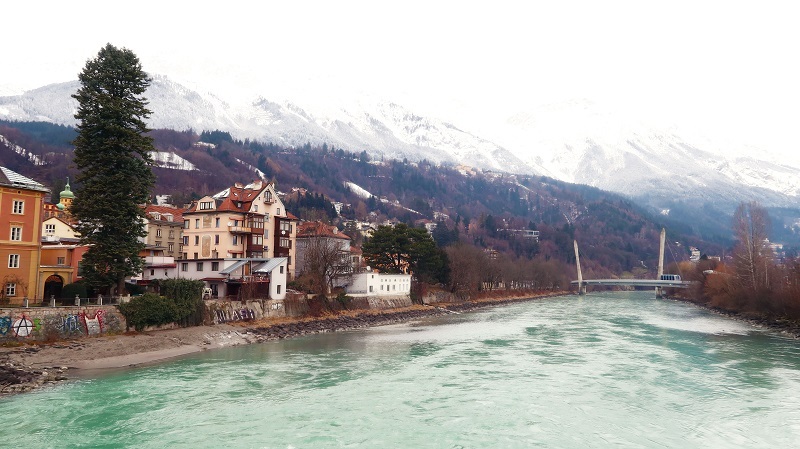 A city guide to help you discover the top things to do in Innsbruck in one day. From were to visit, what to eat and how to get there, we have you covered. Back in January, Brad and I decided to live in Austria for a month. We lived just 30 minutes (on the train) from Innsbruck in a small village called Motz. One weekend we visited Innsbruck and had a great day! 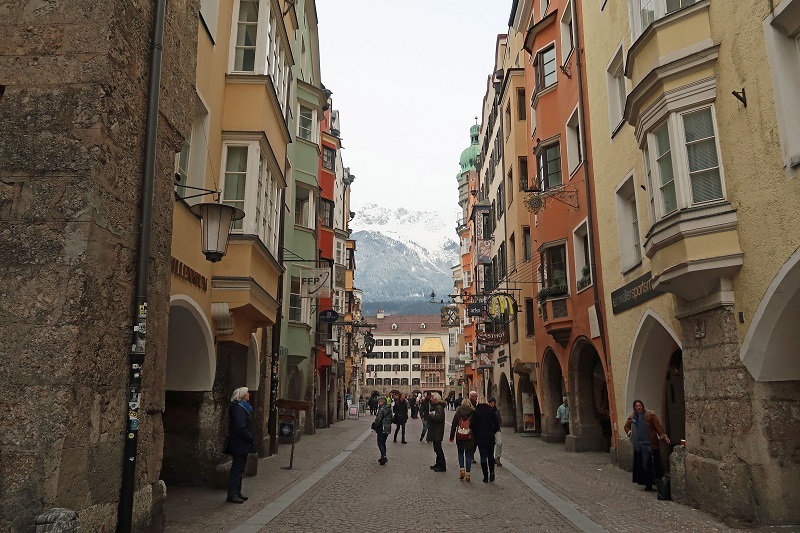 So, I thought I’d put together a guide on the top things to do in Innsbruck. If you are already in Austria, then it’s easy to get to Innsbruck via train from most major areas including Salzburg, Linz, Vienna, Graz etc. Austria has a pretty decent train system and they are all averagely priced. Innsbruck is quite a central station, so even if you wanted to take day trips from Innsbruck to any of the places I have mentioned above, then it’s possible. Remember all of Austria is so damn beautiful and each area has something new to offer you and discover, whether it’s the beauty of Hallstatt, the sound of music of Salzburg, the buzzing capital that's Vienna, or the grim reality of concentration camps at Linz. If you are coming from outside of Austria, you can drive (like we did!) from England. It takes around two days to drive to Austria from the UK and flights to Innsbruck are reasonable from around the world. Did you know Innsbruck is said to be one of the most amazing airports to fly in to? This is because you are literally flying into the stunning snow-dropped mountains. Google it. One day I want to fly into Innsbruck just so I can experience it. Innsbruck is in Austria which is part of the EU and they use Euro. As of today based on Revolut exchange rates £1 will give you 1.15 Euro. 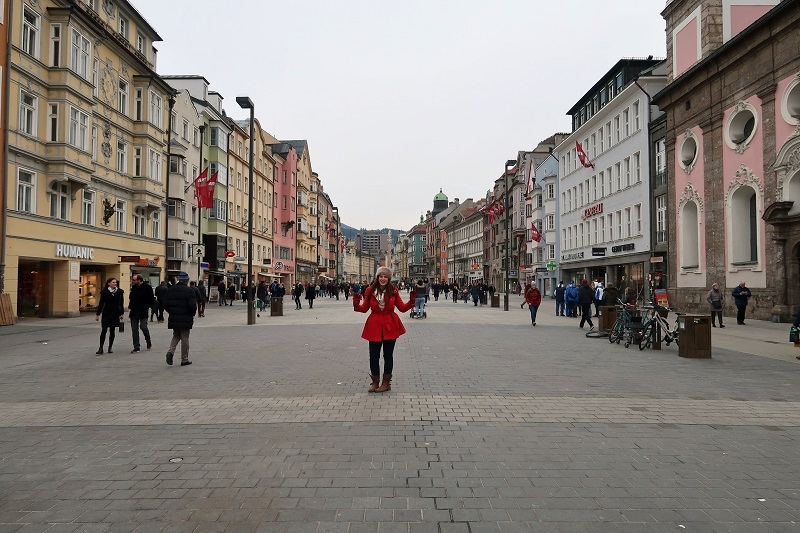 Here's my guide based on 24 hours in Innsbruck, since we also spent a full day there exploring! However, I will include absolutely everything I think is worth doing in Innsbruck, which will probably take more than a day. Innsbruck is filled with stunning beauty, snow-capped mountains as your backdrop and architectural dreams surround you. Wandering the old town will only take a morning and there is plenty to see and do. Don’t miss a visit to Goldenes Dachl Museum (The golden roof) at the main square. The gold roof in the distance! It's covered with 2657 fire-gilded copper tiles and was actually constructed for the Holy Roman emperor Maximilian I. Entrance costs €4.80 for an adult and €2.40 for a child. It also presents a great photo opp even if you don’t go inside. The area of the Old Town is also home to lots of different museums. Don't forget to wander the narrow streets and 'get lost' in this beautiful area. There are museums to discover, lots of tourist shops to buy souvenirs, homemade drinks, and more. There are so many wonderful restaurants to dine at and a whole host of cuisines. Italian, Austrian, and of course the class Hard Rock Cafe. Brad and I ate at an Italian restaurant which was great value, accompanied by great wine. If you are after a cup of coffee, just wander down the hidden streets and find yourself a quaint coffee bar to enjoy a cafe with some classic strudel! Innsbruck is home to the highest zoo in Europe and it’s definitely something you should see whilst in Innsbruck. It’s soooo cool! It’s literally placed on the mountain tops and you can access via “cable car”, or you can walk, or get a bus. Brad and I chose to walk and from the Old Town it is a 30-minute walk and it’s well signposted. It’s a slight incline walk, and of course, the zoo is also an incline walk, so wear some decent shoes, especially if it’s been snowing. The zoo is home to alpine animals that you would typically find in cold, snowy conditions. Expect to see bears, wolves, Elk, lots of birds and much more. Some animals will be in hibernation, and of course, there’s not much that can be done to fix that. The views from this zoo over Innsbruck are b-e-a-u, beautiful- so bring your camera. You will experience the animal world in the alps with over 2,000 animals and 150 species. The cost of the zoo is 11 euro for adults, 5.50 for children aged 6 to 15 and 2 euro for children 4-5 and 9 euro for students. 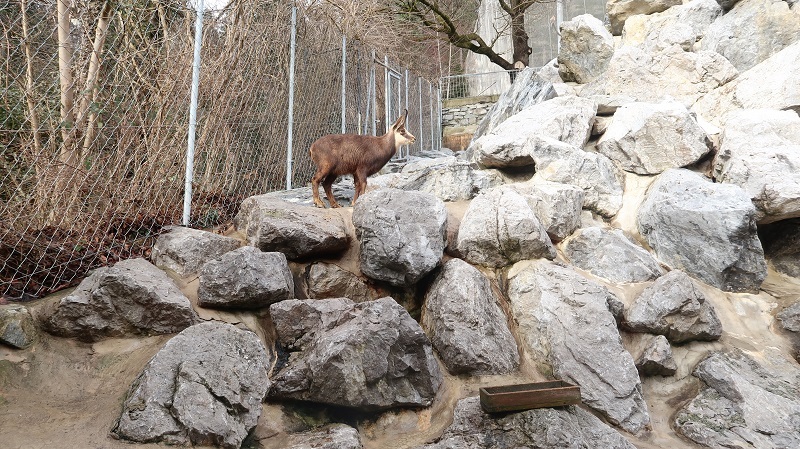 Do note that the Alpine Zoo in Innsbruck is included in the Innsbruck card, for those who are there on an organized tour, and children under 3 years old. Whilst there you can buy a “combination ticket”, which I would recommend. This costs € 15,00 for adults, € 12,00 for students, 8 for children aged 5 to 16 and 2 for children aged 4-5. If you haven’t bought an Innsbruck card and you’ve decided you want one, you can actually purchase the card at the Zoo too. You can do this after you have visited the zoo, or you can do it from the main station at the bottom which is called “Congress”. 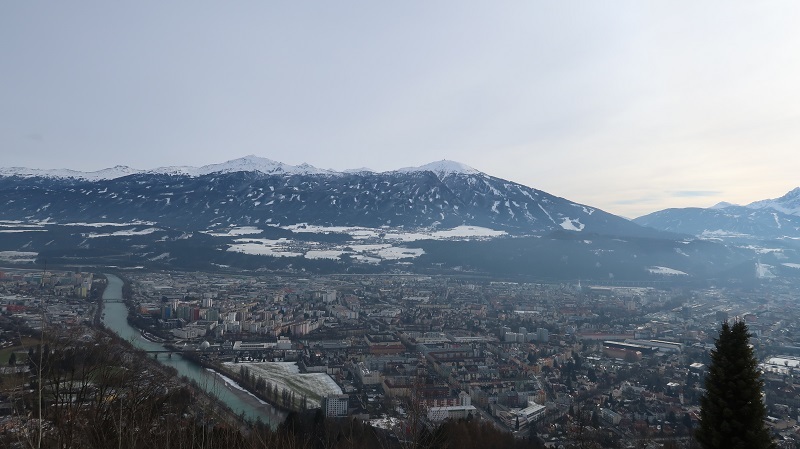 Once at the top you will be greeted with a beautiful view over Innsbruck. It feels like an escape once you’re at the top and you should stop at the coffee shop, catch a coffee (or beer) and just sit outside. You will be greeted by lots of skiers who will be coming down from the mountain above you which is accessed by the NordKetten cable car. You can go the whole way up to the highest peak in Innsbruck and see views across to Italy and Germany! This is popular amongst skiers, however, it’s also perfect for climbers and walkers of all abilities. 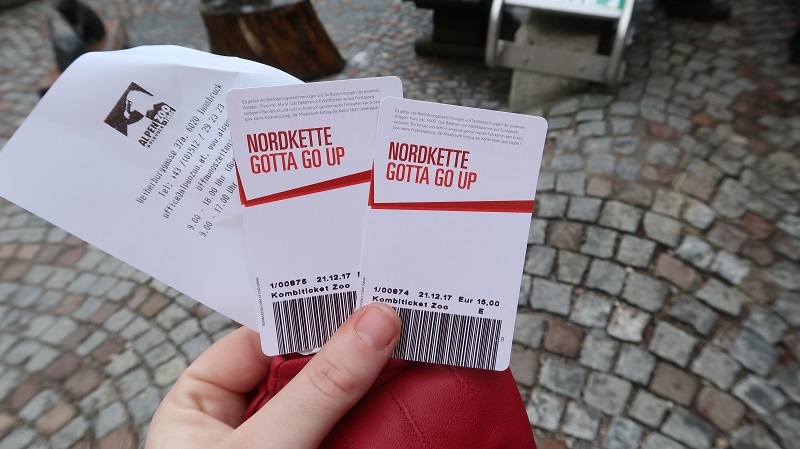 Tall or short, young or old, there is something for every hiker at the Nordkette. From short, flat circular hiking trails to longer tours from the Hungerburg into the Karwendel Nature Park, here you will find hikes and walks for every level of ability. Bradley and I never went up this far as we thought it was a little expensive. It was around 35 euro return, but if you do choose to go up, keep an eye on the weather as you will want a clear day to see the amazing views that surround you. Also, there is an igloo at the top, and a bar that turns into a nightclub in the evenings...which is pretty cool! If you like crystals and sparkles, then this is a day trip for you. Swarovski Kristallwelten (crystal world) is known as the Disney World of Crystal and is the origin of the sparkling gems. You'll find various art piece recreations in pure crystalline by famous artists such as Andy Warhol. Arguably, the most impressive feature of all is what greets you at the entrance; a massive, sparkling bust that spits water into a shimmering pool. Is the Innsbruck card worth it? This is dependent on how long you are in Innsbruck and what you want to do. The card is available for 24, 48 or 72 hours. Children aged 6 to 15 years enjoy a 50% discount. What does the Innsbruck card include? Free travel on Innsbruck’s hop-on-hop-off sightseeing bus The Sightseer. Free use of public transport on all IVB routes and night buses within Innsbruck and to Rum and Hall. Free city bike rental for 3 hours (rental shop: Die Börse, Leopoldstrasse 4). Should you require longer, the Innsbruck Card will give you a 10% reduction on the rental price. A reduction is also available for the hire of extra bikes. And more...check it out here. So, if you are planning on seeing the zoo, the Nordkette cable car, a couple of museums and maybe even a walking tour, whilst using public transport, then the Innsbruck card will probably be worth it. That’s a total of €89.95. So yes, the Innsbruck card would 100% be worth it. Brad and I didn’t get the Innsbruck card because we didn’t do everything on the list of top things to do in Innsbruck I have suggested, but if you are around for two or three days, then it’s a worthwhile investment. Everything I have mentioned is free, and there is much more to see and do PLUS you get discounts on food. Alternatively, sometimes I like to use tour companies such as getyourguide or Viator for cool discounts on places, or walking tours, or even meals at the Hard Rock Cafe. So if you don’t fancy investing in the card, you can still check the tours for discounts on the individual things you are doing in Innsbruck. You can buy your Innsbruck card online or in the Old Town at the tourist information centre, or at the Zoo! I really enjoyed my day at Innsbruck. It’s reasonably priced, the people are lovely, the food is great and the backdrop is breathing-taking. It’s just this beautifully quaint town surrounded by the stunning Austrian Alps! There really is no other city like it. If you’ve been to Innsbruck and have anything to add to my list of top things to do in Innsbruck then let me know. The list I have provided is what I really think you could achieve in a full day of sightseeing. Any more than that would be too much and you would be rushing yourself. Even on my list of things to do, you still need to start early! 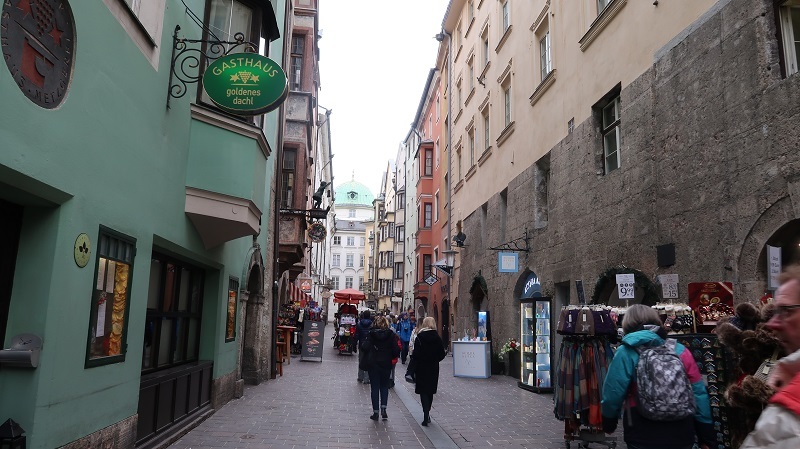 I hope you’ve enjoyed my post on the top things to do in Innsbruck, and check out my vlog to catch a sneak peek of what Innsbruck is like!